Mumbai: Manipal University’s efforts to make technology in lecture halls a more effective tool in teaching, launched the virtual classroom at Manipal Institute of Technology’s Sir MV Seminar Hall here on Monday. Launching the online classroom at a live demonstration, Dr Ranjan Pai, CEO and MD, MEMG Bengaluru urged everyone to make best use of the technology to enrich learning. Soon, the Manipal group campuses, Jaipur, Sikkim and Dubai will be linked. Pro Chancellor, Dr H.S. Ballal said that this technology in the classroom could change the concept of teaching and learning in a classroom and advised all heads of institutions to make good use of the facility. For MIT, celebrating its Diamond Jubilee, this was a significant support to its resources. 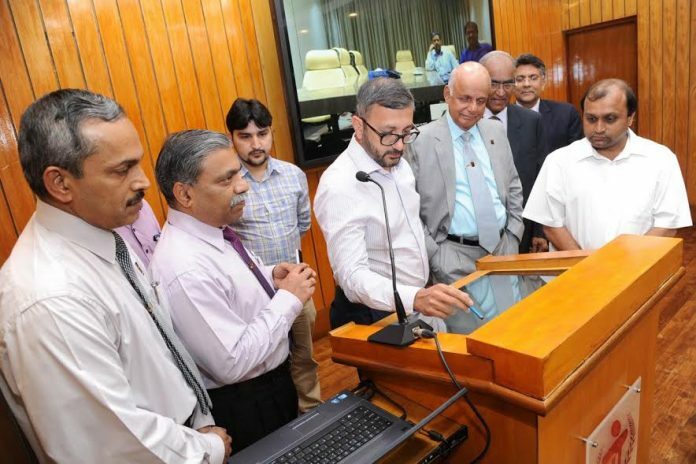 The MIT Director, Dr G.K. Prabhu said that the virtual classroom was started in Dr MV Seminar Hall so that other institution of the University could make use of the facility with immense reach for academic delivery. “Students from remote campuses can join and have a two-way audio, video interaction in real time, with faculty and other students. Thus making interactive learning fun,” he said. “The online classroom allows participants to communicate with each another, view presentations or videos, interact with other participants, and engage with resources in work groups. The University can leverage the faculty with students of other campuses and students will have access to all classroom sessions,” explained Balakrishna Rao, Chief Information Officer, Manipal Global Education from Bengaluru during the live session.